So, your company is looking to connect with other business professionals to share and receive resources, tips, and industry knowledge… Have you heard of LinkedIn? The business world practically lives on the LinkedIn platform; as a social networking site for professionals, it hosts over 610 million users. LinkedIn also has the highest lead-conversion rate than any other social media channel – their lead conversion rate sits at 2.74 percent, in comparison to Twitter (0.69 percent) and Facebook (0.77 percent). With a high conversion rate like that, you can see the true potential of marketing on LinkedIn. This is why many companies encourage employees to become brand ambassadors to represent their brand in a positive way. Unlike other social media platforms, marketing on LinkedIn heavily revolves around individual engagement, not company engagement. 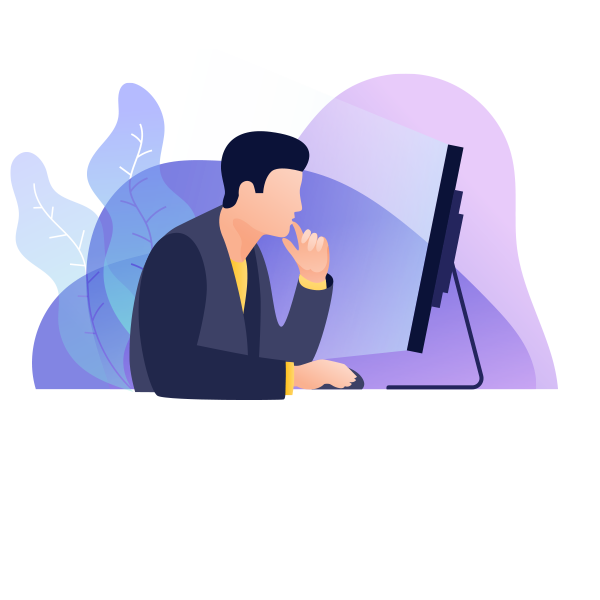 While you can have your marketing team build an awesome Company Page and use marketing tactics to boost awareness on LinkedIn, you can also get each individual in your workplace involved in expanding your company’s reach as well.. In this guide, we will discuss ways to build and optimize your Company Page, develop the right LinkedIn business strategy to bolster your marketing efforts, engage with other professionals to build out a large network, and monitor your analytics to get the most out of your marketing efforts. On the LinkedIn platform, a Company Page* is your home base: A place to provide general information about your business, your brand, and your employees. It’s similar to a Facebook Company Page, where you can include an about us, profile image, and cover photo. *Note that you will need a personal LinkedIn account to set up a Company Page for your business. The next step is to name your page and choose your URL. It’s important to think about your URL carefully because you won’t be able to change it again. Typically, it’s easiest to keep it simple and just use your business’s full name. Our LinkedIn URL is just that: https://www.linkedin.com/company/bluleadz. 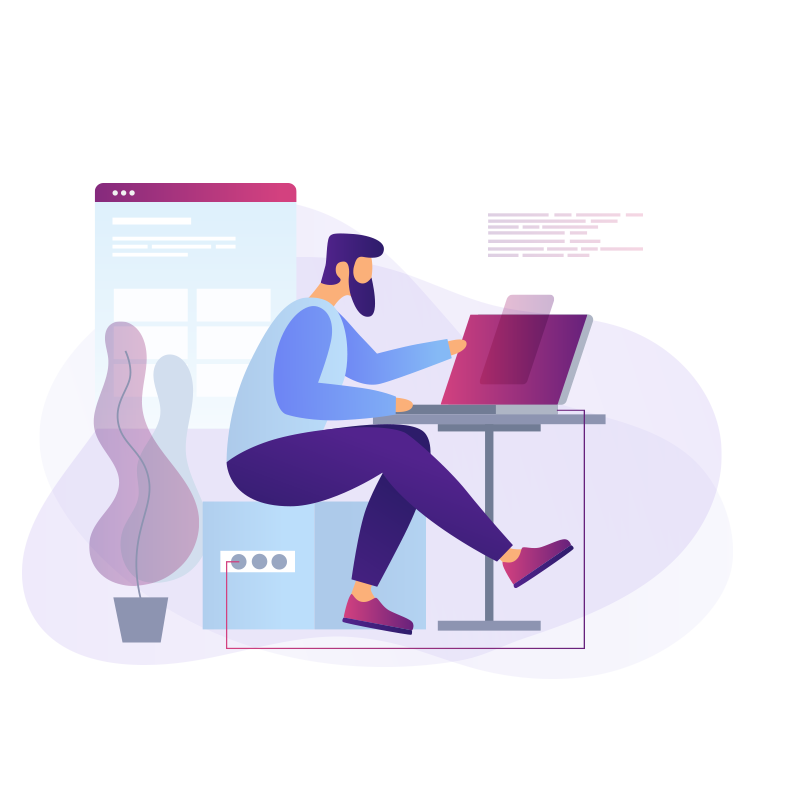 Don’t skimp out on filling out your profile: Company Pages with completed profiles receive twice as many visitors than those with incomplete profiles. Include a tagline: Briefly describe what your business does. Link to your website: Give people a place to go! Select your company size: Let people know how big your business is; this can help new hires and prospects who are considering working with you. Choose an appropriate company industry: What industry does your company fall under? Be sure to note it appropriately. Your LinkedIn Company Page should provide all the information a potential new hire or prospect would want to know: who you are, what you do, and why you do it. So, what else should you add? 1. Write a Detailed Description. More likely than not, LinkedIn users will head straight to your About page to learn more about your company. While your tagline is a quick and punchy description of your brand, your About description is where you can dive deep into your business initiatives and goals to give people a better understanding of your company. Don’t shy away from writing a great description – just remember the 2,000 character limit and the fact that the first 156 characters will appear in the Google preview. Write about the most important information at the beginning (5 W’s and H). For the rest of your description, feel free to get creative to highlight your brand’s personality. How to add a description: Head to your Company Page, then click the second “edit” button on the right. You will find the description in the Overview tab. Let people know where your business is located. This will benefit both prospects looking to work with you or new hires that are searching for local jobs. If you have multiple offices, feel free to add more locations. Company specialties serve as keywords for your Company Page that will help people find your business easier. You can add up to 20 specialties… so use them! The more you add (that are still relevant to your products and services), the more keywords you have to potentially help others find you. 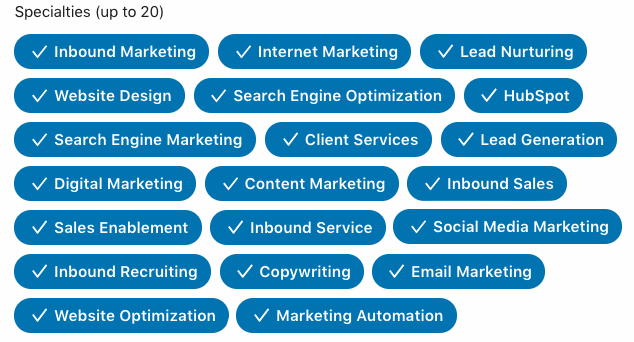 Notice how each of these “tags” relate to what we do for our clients and ourselves: They highlight our services and strengths, and anyone searching for these terms has a higher chance of finding us on LinkedIn. You’re not a one-man band, so don’t stress yourself out by being the sole proprietor of your business’s LinkedIn Company Page. Even if you’re the CEO, social media manager, or content marketing manager, giving multiple employees access to edit and post on your company’s behalf will be a weight off your shoulders. 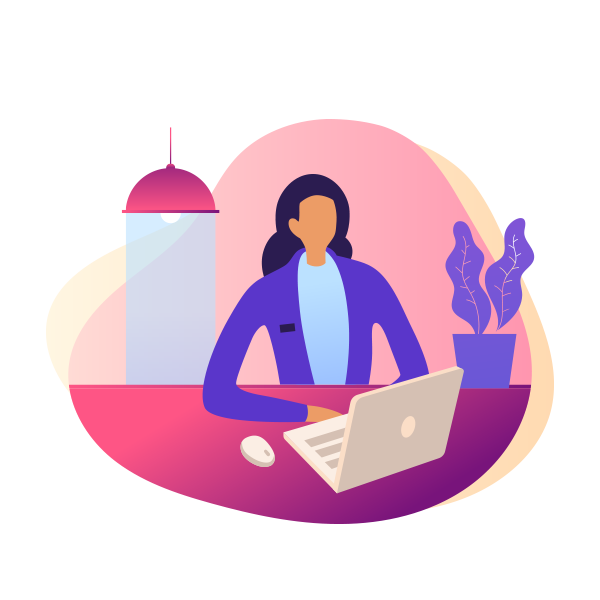 No need to go overboard and give everyone admin access – select the few individuals who would most likely need access to your Company Page at some point. Now that your profile is all set up and ready to roll, it’s time to get to work. When it comes to social media marketing, each platform functions differently. As far as LinkedIn, your strategy is best if focused on B2B efforts that can increase your brand awareness and drive new prospects to your Company Page or, better yet, website. Don’t jump the gun: it’s important to consider what you are trying to accomplish with your LinkedIn marketing efforts. So, your first step should be to brainstorm and identify your marketing objectives. A marketing objective is a clearly defined goal that is geared toward promoting a product or service to a target audience within a specified timeframe. In marketing, your objective is used as the baseline for your strategy: What are you trying to accomplish by marketing on this specific platform? As a professional, connection-building platform, LinkedIn marketing objectives might look a little different than other social platforms. While Instagram and Twitter tend to be more focused on fostering engagement and boosting brand awareness, LinkedIn is better suited for specific business-building goals that will vastly benefit your brand as you start to grow. Develop SMART goals: goals that are specific, measurable, achievable, relevant, and time-bound. By creating specifically targeted goals for your business, you have a higher chance of success. Just like buyer personas, you should also consider building out a few user personas for LinkedIn, identifying those you hope to connect with, recruit, and prospect. You should aspire to get followers that will actively engage with your brand. Once your goals are set in place, you’ll have a better understanding of the content you should be publishing. Note that your content should provide value to prospects, candidates, and other professionals in your industry. According to Sophisticated Marketer’s Guide to LinkedIn, 94 percent of B2B marketers use LinkedIn to share content, making it the #1 social channel for content distribution. Additionally, 91 percent of marketing executives named LinkedIn as the top place to discover quality content. Based on these statistics alone, it’s key that every business shares content on their LinkedIn – even more importantly, quality content. Compared to other social networks, though, LinkedIn content isn’t always as simple as a tweet or a posted photo of the team playing ping pong. 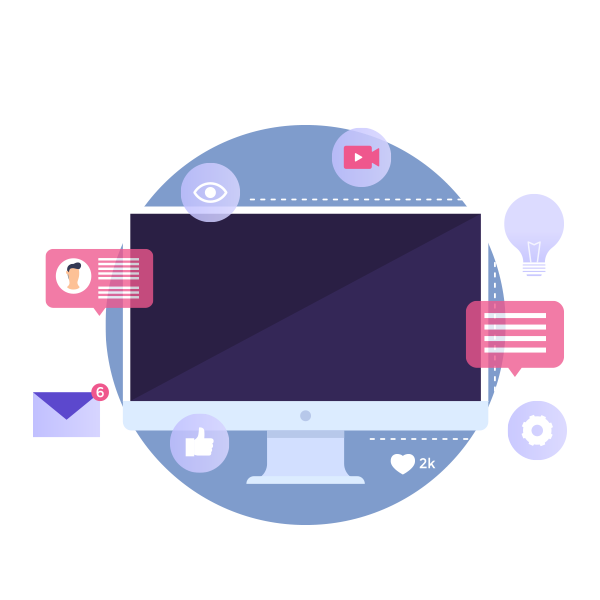 With a little more strategy and effort, however, your business can skyrocket with valuable content that encourages lead generation and promotes your business as a top industry leader. It can even help build rapport for your brand and help down the line as you hire new people. Because LinkedIn is a professional social networking site, the content that is distributed on this platform is slightly different from others. Long-form content gets the most shares on LinkedIn. How-to posts get almost 2X as many views as question posts. LinkedIn articles featuring exactly eight images far outperform the rest. There are 18 million pieces of content uploaded on LinkedIn SlideShare. You might be wondering, “What does this have to do with what content my business should be posting on LinkedIn?” Well, use these statistics as a basic guide for the content most marketers are publishing today. Because long-form content gets the most shares, share articles that are between 1,700 and 2,000 words to increase the chances of reshares. How-to posts obviously perform very well on LinkedIn, so make sure to include how-to content in your content strategy. Because people are visually driven, sharing content with images (for some reason, eight is the lucky number) gets more engagement. As a professional network, standing out as a thought leader in your industry can make a huge impact on your brand awareness and authority. Thought leadership helps build your audience’s trust in your expertise. A true thought leader is influential not only because of how he or she does things but also in their ability to explain why a certain approach is better. The right thought leadership content aspires to win more business and drive change. Don’t worry if you don’t know how to do this just yet; we’ve got some awesome resources that can help you learn the basics of creating thought leadership content and get the inspiration you need to get started today. The impact of video in marketing has truly skyrocketed in recent years. Video marketing even made its way to the social media world: 77% of businesses use video on social media. Don’t forget LinkedIn is a social media channel as well! Break away from boring LinkedIn posts, and consider adding graphic elements to your content, whether in the form of photos or videos. If you are creating educational video content, LinkedIn is a prime place to share it. And, sharing company videos on LinkedIn is as easy as 1, 2, 3. Any recent news on your company? Share it with your audience! This content will be valuable to candidates looking to work with you. It will keep them in the loop like they’ve been there all along. Highlighting any business growth can also secure your position as a leader in the industry, proving that your efforts create success in marketing and business development. Don’t forget to highlight your company culture on LinkedIn – after all, it’s not just a platform for B2B, but it’s where potential candidates go to learn more about your business and the people that make it. LinkedIn actually has a great way to share culture pieces – with a Career Page. Adding a Career Page to your Company Page will give you access to a Life tab and Jobs tab alongside your about us page. What do these tabs do? Create custom modules to share benefits, core values, etc. With all these content ideas, you’re ready to get started. But you need to establish appropriate timing for sharing your content. People check LinkedIn a lot less frequently than any other platform – more than half of all LinkedIn users visit the site less than once a week. Because of this, it is important to post at the most optimal times when your audience is online. However, because every business’s audience behavior is different, there is no unanimous answer as to what those times are. Play around with different post scheduling times and see how different times of day affect your engagement. If your company updates get more likes at 7 p.m. than at 8:30 a.m., consider posting your content in the late evening. A best practice is to post once a day on LinkedIn. Because LinkedIn updates are mostly marketing-related and geared more for B2B businesses, the amount of content posted on LinkedIn is significantly lower than any other social media platform. With less content on a person's feed, there is less to scroll through, which means the chances of your company update getting noticed is slightly higher. According to LinkedIn, posting 20 times a month allows your company to reach 60 percent of its audience – if you post one quality update a day during the workweek, you'll hit 20 posts by the end of the month – success! And, of course, experiment with your posting frequency – although posting once a day seems optimal, your company should focus on quality over quantity. Don't just whip up a random, unrelated update for the sake of getting a post in for the day. Create an editorial calendar to keep your business's content publishing on track and on brand. To make the most out of your marketing efforts on LinkedIn, encourage your employees to become brand ambassadors. This way, your brand name is effectively being spread throughout the entire network, and it’s not just coming from your Company Page. Beyond this, it is an easy way to encourage employees to start building and promoting their own personal brand on LinkedIn. When it comes to creating brand ambassadors out of your employees, there are a few key tips that can create the best outreach strategy for your LinkedIn marketing. The first thing – and most obvious thing – to do when asking your employees to get involved with marketing your company on LinkedIn is to have them connect with your Company Page. They should ensure they have their current job title on their profile set to your business so that anyone who comes across their profile will take note of your company name as well. Then, encourage them to follow your Company Page. When someone follows your Company Page, all of your published updates will be sent to their feed. Not only will this keep them up to date on all new things within the business, but it will give them easy access to share your content on their own feed, which brings us to our next tip. What is the point of sharing new content updates on your Company Profile if only your followers will see it? To extend your potential audience, your employees should actively like and share the articles you publish. At the least, they should share the articles they wrote. Employees can either share articles by hitting the “share” button on a LinkedIn update or writing their own post and including the link to the article. We encourage a mix of both because re-shared articles will have your company’s name attached to it, while organic posts allow each employee to be creative in how they position each share. Even a liked post will show up in a LinkedIn member’s activity feed, so be sure to ask all of your employees to like updates during the week. You want the highest chances of growing your audience, after all. At Bluleadz, we use HubSpot for all of our marketing, sales, and service needs. When it comes to posting on LinkedIn, we utilize their handy social publishing tool. The tool is easy to schedule out posts on LinkedIn. Plus, employees can link their personal LinkedIn accounts so they can schedule posts as well. 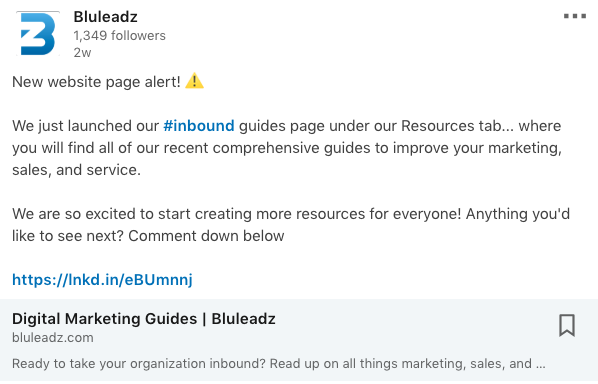 HubSpot automatically writes an update with just the title of the article, but we suggest personalizing your message for each update you share, making sure to use relevant hashtags and even emojis to add some fun! LinkedIn Groups are one of the best ways to meet new faces in your industry or area. Because you can only join LinkedIn Groups with a personal account, you should encourage your employees to join numerous LinkedIn Groups relating to your business or goals. For example, there are tons of LinkedIn Groups created for marketers and marketing agencies. We personally love them, and some of our employees are members. Don't worry: There are LinkedIn Groups for every kind of industry. Sales? Not even a question. The list goes on. Do some digging and you'll discover a handful of resourceful LinkedIn Groups to join. At the least, your C-level executives should be active in these LinkedIn Groups, as they will help put your company name out into the public, which can help solidify you as an industry leader. Push your employees to go above and beyond and start their own LinkedIn Groups! While there are many Groups already out there, there is always another you can create to start a new discussion. Maybe it’s an industry-specific LinkedIn Group, or maybe it covers a niche part of your overall inbound marketing practices, like SEO. By starting a new LinkedIn Group, employees have the opportunity to become leaders in the LinkedIn community, inviting new members, hosting valuable discussions, ultimately, spreading brand awareness about them and their company – you. One thing our sales team always does when they come across new prospects is connect with them and any other potential decision makers in the company. LinkedIn is all about building a network of connection. Your employees should actively search for qualified prospects on LinkedIn. This not only increases awareness about your brand but can even fast track the sales process as they come right to your business. Your sales team will love that. Once you start actively publishing content to LinkedIn and expanding your connections with new followers, it’s important to see how it’s stacking up to your original goals. Luckily, there are a few simple ways to do this. If you’re looking to get specific numbers, LinkedIn Analytics can do all the hard work for you! As a built-in analytics tool, LinkedIn Analytics can provide valuable insights into just how successful your marketing efforts have been. Under your LinkedIn Analytics tab, you can monitor your company updates, followers, and visitors. Let’s discuss the specifics under each tab. In this section, your company can look at the overview of each of your posts; you can see the date it was published; whether it was a sponsored post or not; the number of impressions, clicks, and interactions it received; and the engagement rate. From a sponsored post, you can also see the number of followers it acquired. The reach chart shows your number of impressions and unique views over time. The engagement section goes into a little more detail about the number of clicks, likes, comments and shares than the updates overview. Your company can see these interactions from the last six months. Here you can see your total follower count and the breakdown in demographics. Demographics can be subcategorized by seniority, industry, company size, function, and employee v. non-employee. The follower trends chart shows how your LinkedIn follower count changes over time. This is a great place to measure if the content you are publishing is attracting or detracting new followers or if it is the same. This shows how many page views your company's LinkedIn page is getting over a period of time, which you can alter to your preference. Unique visitors are those who view your page, exit out and return back later – this will count as two page views and one unique view. Visitor demographics allows you to examine the audience that your content and page are attracting. You can check your visitor demographics breakdown with the same subcategories as your follower demographics. LinkedIn has a great feature that allows you to check out other companies' data and see how it compares to yours. On your LinkedIn Analytics page, navigate to the followers section. At the bottom, there is a section titled "Companies to Track." Besides follower count, you can adjust the time frame for this data. By comparing actual data with similar businesses, you can easily discover what your business is already doing well on LinkedIn and also spot a few areas of improvement. Do your competitors post more updates and have a higher social engagement? Consider posting more frequently to see if this boost your social engagement. Ask yourself how your metrics stand up to theirs, but don't scrutinize your own metrics; ultimately, you want to improve your metrics to successfully accomplish your LinkedIn marketing goals, but don't knock them down – think about ways to build on what you already have. With these analytics available at a click of a button, it shouldn't be hard to keep track of changes, your audience, and overall engagement on your company LinkedIn. If you decide to switch things up with what and when you post, see how these analytics shift over time – from here, you can see if your marketing goals are succeeding or not. Digital advertising is a way to get your business, content, and job openings in front of the right audience without the digging: it’ll pop up right in their feed or sidebar. When it comes to advertising on LinkedIn, you should first have an understanding of the basic campaign structure. Luckily, LinkedIn ads can be created and managed all in one place: the LinkedIn Campaign Manager. The LinkedIn Campaign Manager is an organized system that keeps track of all your ad accounts, campaign groups, campaigns, and ads. If you manage multiple campaign accounts for various clients, don’t worry; it’s easy to toggle to different accounts when you need to. On LinkedIn, there are four ad products you can run to boost business, increase brand awareness, and get your name in front of potential new hires. Each ad product displays differently and is designed to accomplish a particular objective your company may have. Before jumping the gun and picking the first one that comes to mind, compare the differences in each ad product. Each of these four ad products is explained in more detail in our recent pillar page, "A Guide for Marketers: What You Need to Know About Digital Advertising." With the help of Sponsored Content, you can send people to your website or content, collect leads, or get video views. These ads will display directly on the LinkedIn feed, the place most viewed by LinkedIn users. An article, image, or link. A carousel of up to 10 scrollable images. A video from three seconds to 30 minutes long. There are three types of dynamic ads you can run: Job Ads, Follower Ads, and Spotlight Ads. A Job Ad aims to drive traffic to active job slots personalized to a job seeker’s skills and experience. A Follower Ad can be used to find more followers or increase engagement on your Company Page. A Spotlight Ad can help you drive traffic to your website or landing page. All of these dynamic ads are slightly different, but it can’t hurt to try all of them. These three ads can easily help your business tackle the typical challenges any company can have on social media – finding the right candidates, reaching a larger audience, and driving more traffic to your website. The great thing about dynamic ads is that you can also run multiple variations of the same ad. Use this to your advantage and create at least two variations so you can find the top performing ads. If you’re looking to drive traffic or leads to your business, text ads can be your best friend. Use text ads to redirect LinkedIn users to your LinkedIn Company Page, Careers Page, or directly to your website. Be sure to include a compelling, yet concise, headline and description. Use active verbs to encourage people to click over! Just like dynamic ads, create multiple variations to see what resonates with your audience the most and results in the highest click-through rate. Then, you’ll be able to deactivate any low-performing ads. InMail is LinkedIn’s own messaging platform, similar to Facebook Messenger with a live chat tab and an inbox. Note that you do have to be a premium member in order to create Sponsored InMail ads. When it comes to creating the best Sponsored InMail ad for optimal performance, keep these key tips in mind. The sender will be the name and profile image that will appear in the recipient’s inbox. If this sender seems fake, they probably won’t click on it. 2. Don’t Overlook the Importance of the Subject Line. The subject line is the first thing a recipient will read after receiving your message. Make sure it’s compelling! 3. Write a Conversational Message. Don’t write the same stagnant, boring message to each individual. Get creative and fun to intrigue the reader and get them thinking about your brand. You can also use custom greetings by using personalization tokens written as %FIRSTNAME% %LASTNAME% to add a personal touch to your message. 4. Never Forget a Call to Action! Give the recipient a place to go once they’ve read your message. Create a customizable CTA button with action verbs. When it comes to digital advertising, there are a lot of components marketers need to be aware of to get the most out of their money. Learn all about digital advertising here! Targeting the right audience is essential to advertising, as it will refine who will see your ads. Knowing who your audience is – what their interests, demographics, and locations are – can help you grow your business in the right direction. It’s best to create a custom audience because every business is different. Include as many targeting options as you feel necessary to narrow down your potential audience – just don’t do it so much that you limit your business’s chances of finding any relevant recipients. Targeting Tip: On the right sidebar of your screen, look at “your estimated target audience.” This will show you the estimated number of LinkedIn members your audience targeting narrows down to. 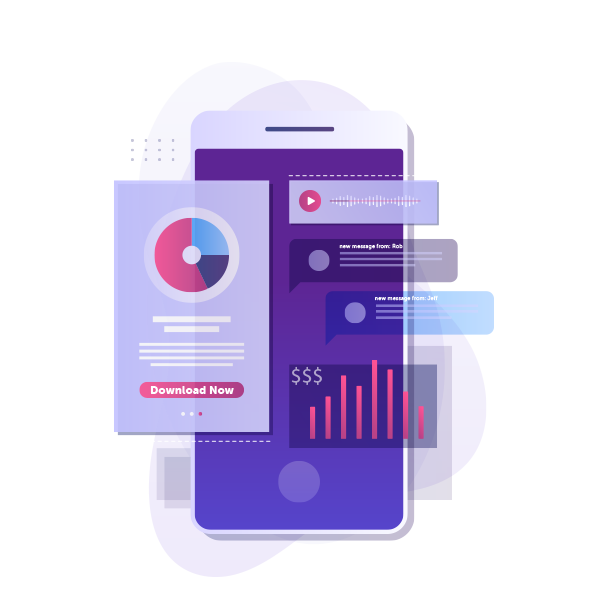 So, you spent countless hours researching the right ad to run, creating multivariate ads to A/B test, and narrowed down your audience to match that of your personas. You might think all the hard work is done, but now you have to factor in how much you are willing to spend for your desired results. Your daily budget for LinkedIn ads is the max amount of money you’re willing to spend in a given day on your ad campaign, with the minimum budget being $10 a day. (LinkedIn notes that your actual daily spend could potentially be up to 20 percent higher.) To estimate the best daily budget for your company, multiply your bid by the number of clicks or impressions you want to get per day. After establishing your daily budget, you’ll have to set your bid. With LinkedIn advertising, you can choose an automated bid, which LinkedIn recommends, or a maximum cost bid. Automated bidding charges by impression, whereas maximum cost bidding lets you define the max amount you want to pay per click, per 1,000 impressions, or per video view. The forecasted results tool can really help you during this step. Use the tool to calculate your estimated impressions, click-through rate, clicks, and potential spend. 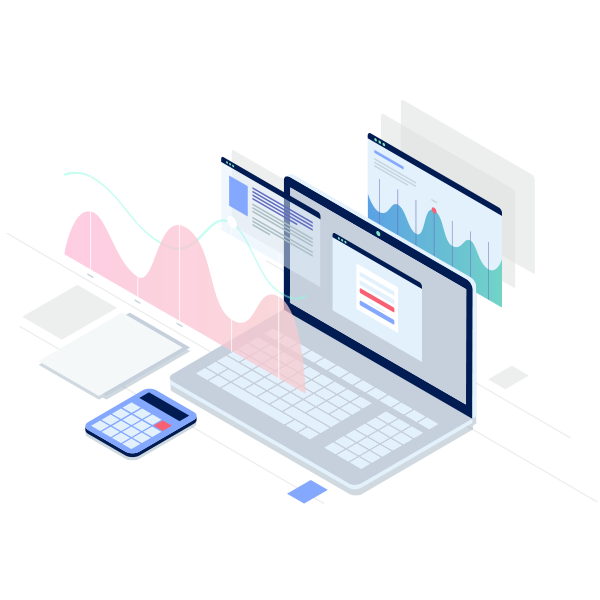 Play around with your daily budget and bid type to see how it impacts your forecasted results to see which selections give you what you are looking for. As important as it is to monitor your marketing efforts on LinkedIn, you should also pay attention to how your advertising efforts are performing. Insights is LinkedIn’s built-in analytics tool that tells you your average daily spend for your campaign and tracks the pacing of your budget. It will also show you how your bid compares to other businesses and ways to improve your bid to improve your overall ad performance. Use this tool to gain “best practice” intel on how to adjust your bidding and budget to optimize your ad performance. To locate these insights, toggle to the Budget & Bid column from the column drop-down menu, then simply hover over the Daily budget, Total budget, and Bid columns. LinkedIn can truly be a valuable asset to your business, generating new prospects, new leads, and new customers. When done right, your business can position itself as an industry leader. However, it’s important to get your employees involved. The right employees and the right efforts can result in a huge impact on your brand. An in-house brand ambassador program can help you do just that. Encourage your team to get involved – and not just on LinkedIn. Your employees should engage with your brand on every social network! Now that you have all the key steps to LinkedIn marketing, start today. Don't wait until next week: You never know how much influence you can make on this platform in a short amount of time. Use it to share valuable content with leads and connect with them when prospecting. Keep these key tips in mind when building out the right LinkedIn strategy for your own business. With the right tools in your toolkit, you’ll be set for success. Looking for more valuable resources on all things LinkedIn marketing beyond this guide? Check out some great content from HubSpot to help boost your LinkedIn marketing efforts today.